TWO MURDERED JUST MINUTES APART ON THIS BLESSED SUNDAY MORNING…Homicide climbs to 10…. BP BREAKING | Two shot dead just hours apart – Latest incident on Miami and Robinson Road! NASSAU | POLICE are reporting two male victims shot dead just hours apart this morning. 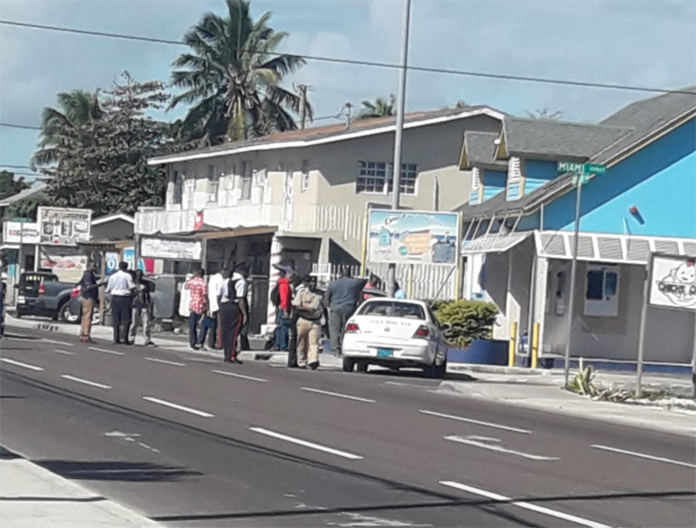 We can report the first deadly shoting took place on Balfour Ave shortly after 9am and the second murder occurred just a few minutes ago on Robinson Road near the Water Depo on the corner of Miami Street. (This scene is active now). Police are on scene and investigations are on going. The scenes of senseless death climbed the murder count to 10 for the year. Previous articleHOW MUCH LONGER DO WE HAVE TO WAIT FOR A HEALTH CARE SYSTEM THAT SERVES THE PUBLIC GOOD?